A short jaunt from Tokyo and Japan’s second largest city, Yokohama is a futuristic sprawl that belies its humble beginnings as a small fishing village. With its open, spacious streets and welcoming port front, a day here makes a superb change from the hustle and bustle of its more populous neighbour. For visitors, it offers a serene ambience, delicious international cuisine, a thriving art scene, craft breweries aplenty and a myriad of cultural touchstones to explore along the way. If you’re looking for a break from the crowds, Yokohama is well worth making time for. Here, we’ll get you up to speed with the city’s hotspots, including its main attractions and the best places to eat, as well as how to best get around Yokohama itself. First things first, get yourself a Minato Burari day pass. 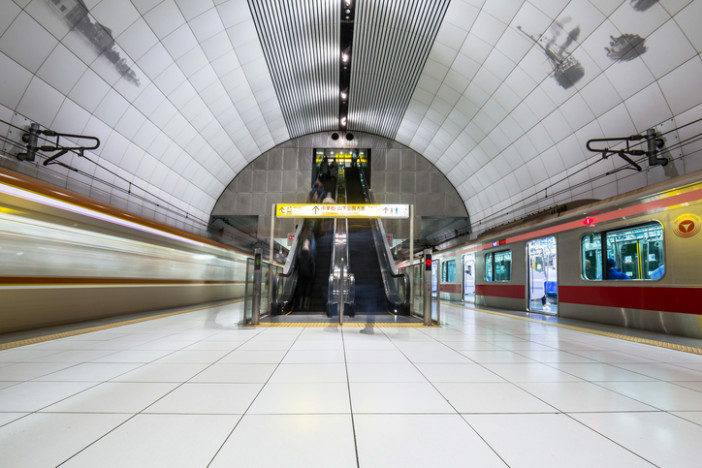 It covers the city’s municipal subway and buses, including the Akai-kutsu bus, a special bus loop that runs every 20 minutes around the Yokohama’s major tourist spots. It’ll also get you on the Yokohama City blue line subway which is a quick and easy way to get around the city. Prices for the day pass will set you back about ¥500 and are available from all blue line stations. If you’re looking for a more interesting way of getting around, try the Sea Bass boat. If the weather’s nice and the sun’s out, taking a serene journey around the city’s waterways is a nice way to luxuriate in your surroundings. Don’t forget, Yokohama is a relatively small city, so it’s easily traversed on foot, which we highly recommend doing. Many people descend on Yokohama for just one day, but how should they spend these 24 hours? You wouldn’t think a museum dedicated to instant Japanese noodles, would be worth a visit, but this stylish interactive museum is a surprisingly extensive and interesting look into the popular food. Patrons are welcome to make their own noodles, design their own packaging and flavour of soup to take back home with them and learn about the history of the world’s first instant ramen and its creator, Momofuku Ando. There isn’t much in the way of English signage, but it’s an intriguing, immersive experience enjoyed by anyone who visits. Opened to the public over 100 years ago, the pleasing greenery of these serene, pristine gardens is an instantly welcoming sight. Dotted with all manner of cherry blossoms, azaleas, lotuses and red maple leaves, with winding walking paths, 17th-century buildings, and tea-rooms to explore at your own leisure. A testament to Japanese nature and architecture, the 500-year-old, three-storey pagoda found here is an important cultural monument in itself. 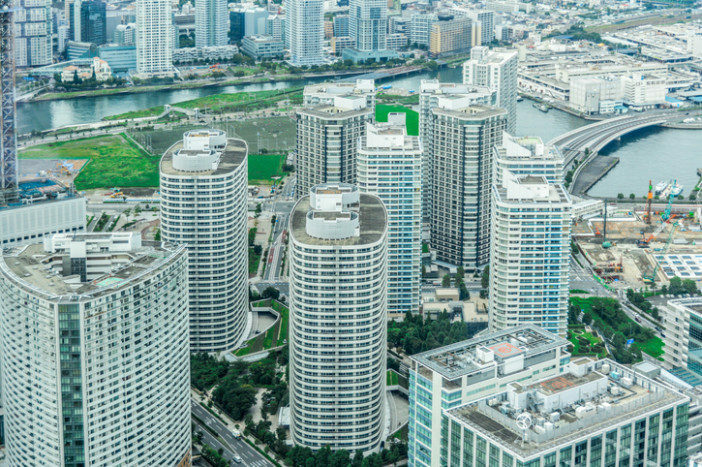 Located in the popular shopping district Minato Mirai (a highly recommended visit in its own right), this 70-storey-high tower boats one of the world’s fastest lifts and some stunning views that stretch to both Tokyo and Mount Fuji. Try to go when the weather’s particularly nice or at night time, where you’ll see the futurism of Yokohama’s design truly come alive in an array of vivid neon colours. Another popular attraction located in Minato Mirai, Cosmo World is a beloved amusement mark that blesses the city’s skyline with its prominent Cosmo Clock attraction. Surrounded by Yokohama’s iconic waterfront, it’s a scenic retreat by day and the perfect place for a romantic stroll by night. With its rides divided into three age-appropriate zones, it’s a great place for the whole family, too. A mix of international cuisine and Japanese classics make up the culinary choices of this delightful city. For some of the finest local cuisine in the city, stop by Araiya. Simple and flavourful, this is traditional Japanese fare done right. 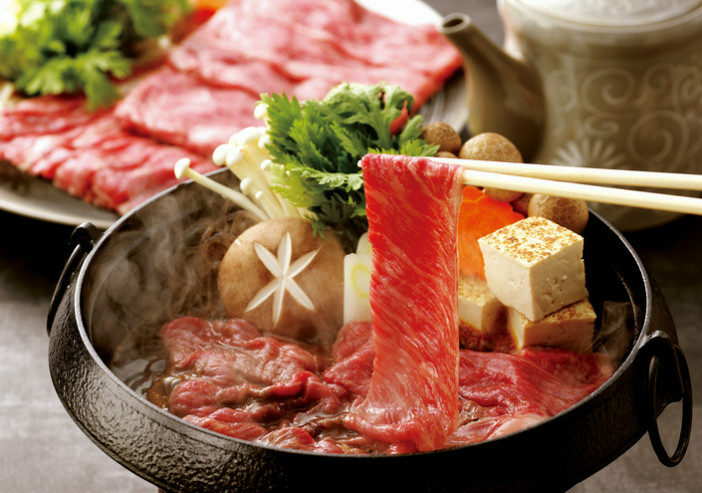 Here you’ll find a Japanese take on beef hotpot called sukiyaki, as well as donburi rice bowl dishes that are the staple of any authentically rustic Japanese eatery. Elegant and welcoming, the waitresses wear kimonos too, adding to the customary, time-honoured ambience. In Japan, curries tend to err on the milder side of things, but at SaliSali Curry, the food hews closer to a classic South Asian style – hearty, filling and big on spices! Robust and powerful, the Pakistani curry is a must-try, slow-cooked for 12 hours to bring out an extraordinary depth of flavour. Considered one of the best in the area, it’s an undoubted highlight. Though the menu may be minimal, the welcoming interior and atmosphere and sheer quality of the food makes this an essential pit stop for rumbling stomachs. As authentic as they come, this little slice of the Japan of the past is a Yokohama institute. Close to 80 years old, this old-school eatery has seen plenty in its time, and the creaking floors, worn-out seating and outdated interiors show its age, but that’s all part of the charm. And when the food’s this good, you’ll be too busy gorging on classic Japanese dishes to care. Hayashi rice is the speciality here, a hearty beefed up (literally) stew that’s flavoured with onions, tomatoes and red wine. Elsewhere katsudon is the order of the day, a dish of deep-fried pork, egg, and vegetables served over steamed rice. Another restaurant that’s been around a while, Manchinro Honten was established in 1892, and it’s been cooking up delicious Cantonese cuisine ever since. Decorated with elegant, opulent flourishes, if you like your dining experiences on the lavish side, this is the place for you. 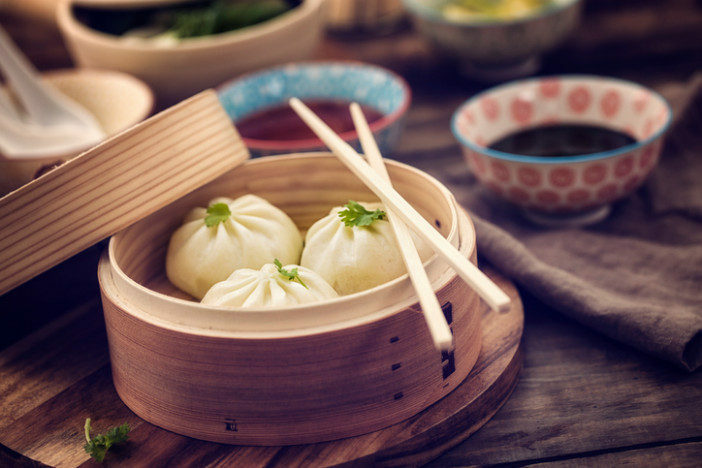 Dumpling and dim sum are definite specialities, there are plenty of other dishes worth trying too, including the crab meat parcel and anmitsu, a Japanese dessert consisting of clear jelly made from red algae. Trust us, it’s delicious. An enchanting, awe-inspiring corner of the globe, a trip to Japan broadens your horizons like nowhere else. Looking to tick it off your travel checklist? Why not head over to our dedicated Japan cruise page, or give our friendly customer care team a call on 0808 274 6777. 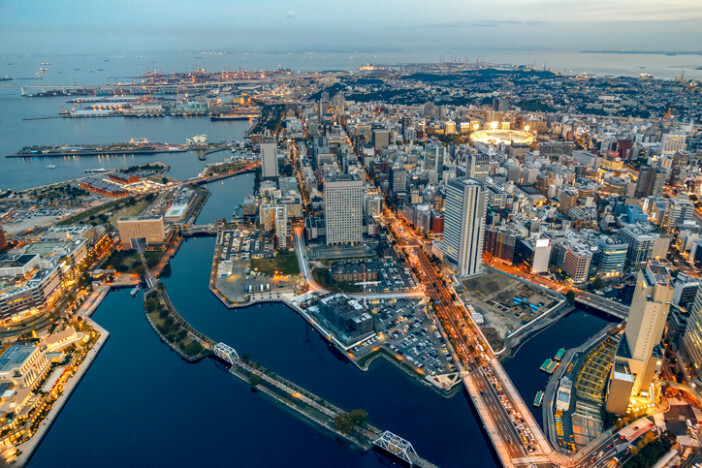 With its open, spacious streets and welcoming port front, a day in Yokohama makes a superb change from the hustle and bustle of Tokyo, its more populous neighbour.